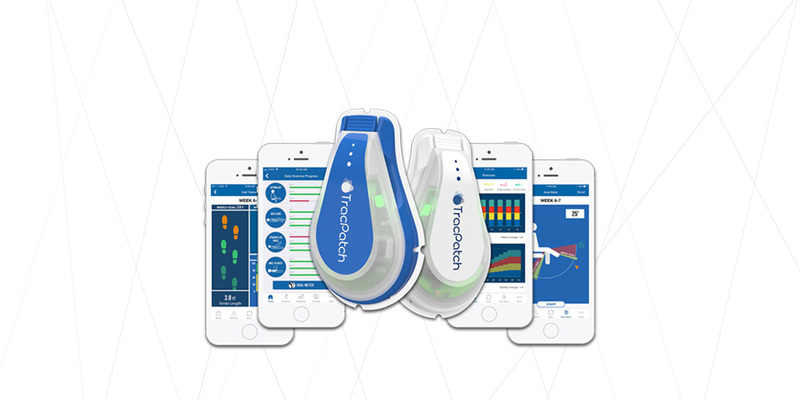 Utilizing Big Data & Evidence-Based Medicine, TracPatch Positions to Lower Healthcare Costs – TracPatch – Wearable Device for Post-op Total Joint Patients. 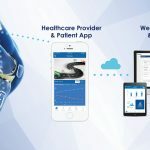 El Dorado Hills, CA, February 27, 2018: Consensus Orthopedics, developer of the TracPatch wearable device is advancing orthopedic care through the power of connected technology. Dr. S. David Stulberg, TracPatch Advisory Board Chairman, says “healthcare providers are constantly under pressure to provide exceptional care while minimizing costs. At the same time, healthcare providers lack the advanced technological capabilities that can help them identify ideal treatment options and rehabilitative care for optimal patient outcomes. TracPatch helps fill this void.” TracPatch aims to transform healthcare using remote patient monitoring, evidence-based data, and advanced analytics to produce intelligent care approaches. Consensus is showcasing the TracPatch technology at two top conferences in March. The first presentation is at the Health IT Conference for 2018 | Healthcare Information and Management Systems Society (HIMSS) show in Las Vegas, March 6. The second TracPatch showcase will be at the American Academy of Orthopedic Surgeons Annual Meeting March 7-9 in New Orleans. At HIMSS, Dr. Chris Leslie, Medical Director at Consensus Orthopedics, will be speaking at HIMSS18 about the transformative Big Data and analytics capabilities TracPatch provides. A lead designer of the innovative 3D knee, Dr. Leslie will explain how TracPatch provides objective data and benchmarked patient information to help healthcare providers improve decision making and reduce costs. “TracPatch has the ability to completely transform how we deliver care. From pre-op assessments to post-op rehabilitation, TracPatch enables me to continuously monitor my patient’s mobility and range of motion data which is crucial for optimal outcomes,” says Dr. Chris Leslie. During the AAOS Annual Meeting, Dr. Chris Leslie, Dr. S. David Stulberg and Dr. John Mariani will be presenting TracPatch to over 15,000 orthopedic surgeons. Dr. Chris Leslie will be presenting on the value of TracPatch combined with Big Data and Analytics. Dr. David S. Stulberg, a pioneer in computer-assisted surgical techniques, will be presenting the value of TracPatch across the episode of care from pre-op assessments to post-op recovery programs. Dr. John Mariani, faculty member of Rowan University School of Osteopathic Medicine, will be presenting on the value of TracPatch data throughout the patient care experience. Experience the TracPatch Connected Healthcare Journey at AAOS March 7-9 in Booth 4037. Meet the esteemed speakers in New Orleans at AAOS Wednesday, Thursday, and Friday, March 7-9. Former chief of surgery and chief Medical Officer at Lake Regional in Missouri. Inducted into the Missouri Sports Hall of Fame. Visit myalliancehealth.com to learn more about Dr. Chris Leslie. On staff at NorthShore University Health System. Director and Founder of the Joint Reconstruction and Implantation Service at Northwestern Memorial Hospital. Award-winning researcher and biomedical inventor who holds several patents on surgical instruments. Co-director of Operation Walk Chicago. Visit drstulberg.com to learn more about Dr. S. David Stulberg. Served as chief of staff for Kennedy Memorial Hospitals. Faculty member of Rowan University School of Osteopathic Medicine. Visit reconstructiveortho.com to learn more about Dr. John Mariani. Consensus Orthopedics Inc. (COI), headquartered in the greater Sacramento area, is a global manufacturer of large joint orthopedic devices and medical wearables device technology. Consensus Orthopedics was founded in 1992 as a medical device consulting company. In 1996, Consensus Orthopedics acquired US Medical Products, becoming a global manufacturer of reliable large joint orthopedic devices. In 2016, Consensus Orthopedics launched its innovative TracPatch division focused on creating transformative wearable technology designed for real time continuous post-surgical patient monitoring. With a focus on patient care, Consensus is dedicated to creating one team and providing exceptional outcomes. Learn more at consensusortho.com.